Have You Been Charged with a Crime in Pittsburgh? If you've been arrested and charged with a crime, finding the right defense attorney is one of the most important decisions you face. Having the right attorney on your side can make or break your case – that's why Frank Walker Law is dedicated to giving clients the best legal representation we can offer. At the firm, we don't want you to face the challenge of a criminal allegation alone; we want to help. Spearheaded by Attorney Frank Walker, Frank Walker Law is known for aggressive and effective legal advocacy. We offer clients fearless representation and are always willing to go the extra mile to make sure that our clients' rights are protected in court. When you work alongside Frank Walker Law, you can have peace of mind that your case is in good hands. We work quickly to review our clients' cases, analyze arrest reports and investigate all evidence relevant to your case. If you've been charged with a crime, efficiency is highly important. Our firm will exhaust every resource to make sure that you stand the best possible chance of obtaining a favorable case outcome. We will gather all of the evidence in your favor and the evidence held against you. With it, we can work together to create a strategy designed to help you avoid a criminal conviction. Timing is crucial. The sooner you call Frank Walker Law, the faster we can put our experience to work for you. At the firm, we are experienced in a wide variety of criminal defense practice areas. Have you been charged with drunk driving? DUI is taken very seriously in the United States. If convicted, you could be subject to jail time and fines. If the court decides that your arrest involved aggravated circumstances, you could be charged with a felony offense. Additionally, Frank Walker Law can help you with appeals, bail bond hearings and bench warrants. The legal process can be tedious and overwhelming – we understand. That's why you need a lawyer you can trust; someone who will take the time to guide you through every step of the legal process ahead. Call our office today and see what the firm can do for your case. Have you been charged with a federal crime? You don't have to face this challenge alone. We can assist clients facing federal crime charges, internet crime allegations and other offense. Has your son or daughter been charged with a crime? We handle juvenile crime cases as well. We can help clients facing charges related to kidnapping, probation violations, theft crimes, underage drinking and violent crimes too. We are dedicated to criminal defense and have committed our practice to helping the accused in Pittsburgh and the surrounding areas. It doesn't matter what kind criminal charge has been brought against you, Frank Walker Law has the experience, knowledge and practical skill to help. At the firm, we understand that every criminal case is different. Whether you've been pulled over for drunk driving or are facing a theft crime accusation, we want to hear from you. Help us understand the individual circumstances surrounding your case and fill out a free case evaluation form today. When you fill out our online form, you will contact the firm directly. Once we receive your information, we will quickly screen your case too understand your unique legal circumstances. Once you begin working with the firm, we can help you understand your legal rights, circumstances and options. Not from Pittsburgh? We still want to hear from you! 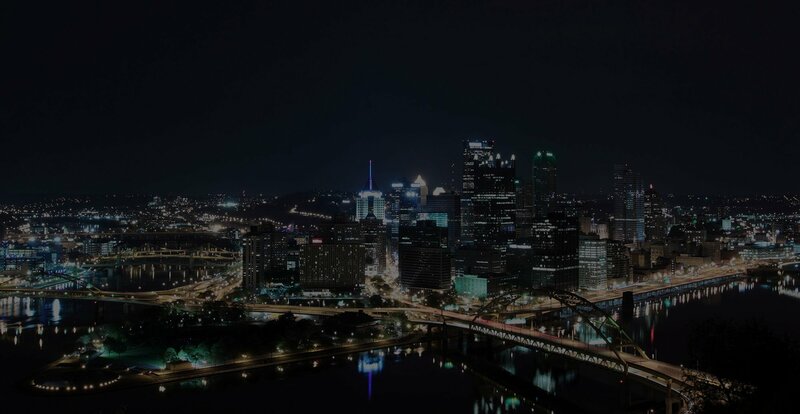 Our firm offers legal assistance to tourists, visitors and others who to no permanently live in the Pittsburgh area but have been accused of a crime. After an arrest, it is important that you know and understand your rights. Our firm is committed to helping people like you understand their legal rights and stand up for them in the face of serious criminal allegations. For instance, if law enforcement approaches you and attempts to search your home, person or car, you have the right to say no. After refusing, contact a Pittsburgh criminal defense attorney from Frank Walker Law as soon as possible. During an arrest, you have the right to know why you have been taken into custody. Additionally, police must inform you of the allowable penalties related to your alleged crime. After an arrest, you have the right to seek legal help. Additionally, you are not obligated to answer questions and refusing to answer questions cannot be used against you in court. After an arrest, you may feel hopeless and question whether or not a criminal defense attorney can really help your case. Arrest and conviction are two entirely different mattes. You are innocent until the court is able to prove otherwise. With a high-quality legal advocate on your side, you stand a better chance of avoiding conviction and preserving you legal record. In the face of a criminal conviction, your reputation and freedom are at stake. Let Frank Walker Law go to bat for you, have an experienced Pittsburgh criminal defense lawyer in your corner. Even if you know that the charges brought against you are erroneous, you face the possibility of a conviction. If convicted, you will be subject to the same penalties as everyone else. Getting arrested is a serious matter. At Frank Walker Law, we are just as serious about helping our clients avoid conviction. Contact us today and schedule a case consultation so that we can begin fighting for you.